General Dynamics Ordnance and Tactical Systems – Canada (GD-OTS – Canada) has manufactured hundreds of millions of small caliber cartridges over its century of existence. The 5.56mm caliber has been manufactured since the early 1960’s. The NATO qualified 5.56 X 45 mm Ball cartridge. 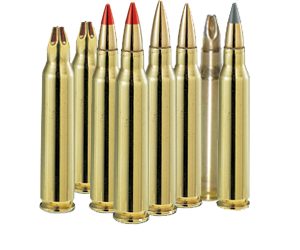 It is equivalent to the SS109 and M855 cartridges. Its projectile comprises a hardened steel penetrator and lead core in a gilding metal jacket. The maximum chamber pressure is well below the maximum NATO limit, ensuring that the ammunition in safe to use. 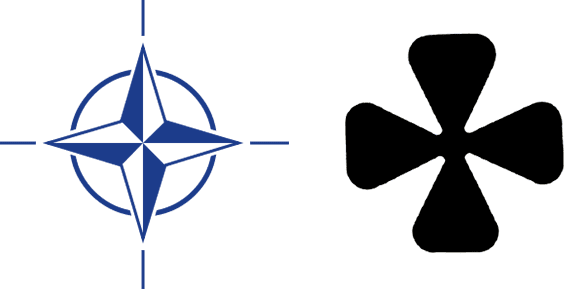 The C77 cartridge functions properly in all NATO nominated weapons. Accuracy: 20 cm maximum standard deviation at 550 m.
The NATO qualified 5.56 x 45 mm C78 Tracer cartridge, is used in conjunction with the NATO qualified C77 Ball cartridge. It is equivalent to the L110 and M856 cartridges. Its trajectory and mean point of impact at 600 m are comparable to those obtained with NATO reference ammunition. Invisible for at least the first 13 m, the trace brightens gradually to reach a bright, red glow, visible at least 600 m from the firing point. Accuracy : 30 cm maximum standard deviation at 550 m.
The 5.56 x 48 mm Blank C79A1 cartridge has the same length as, and is equivalent to, the US M200 blank cartridge. It has a brass cartridge case and functions in 5.56 mm weapons equipped with an appropriate blank firing attachment. The 5.56 mm X 55 mm blank cartridge is 7 mm longer than the C79A1 blank cartridge. 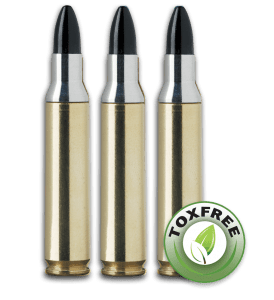 it is designed to properly function weapons that experience feeding problems with shorter blank cartridges.It has a brass cartridge case and functions in all 5.56 mm weapons equipped with an appropriate blank firing attachment. 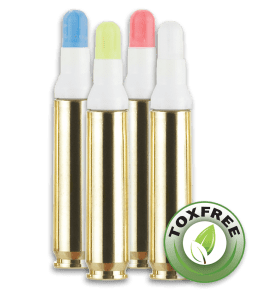 The 5.56 x 45 mm Non-Toxic Improved Penetration (IP) cartridge has a monolithic hard-steel penetrator instead of the lead core/steel tip combination in the C77 Ball cartridge. This two part bullet does not break upon penetration in soft tissues, resulting in increased lethality. 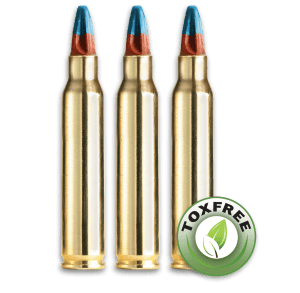 It meets all NATO standards, including \\\’Barrel Wear and Erosion\\\’ and has a ballistic match with the NATO 5.56 mm reference projectile out to 600 m. In addition to the non-toxic bullet, the cartridge also uses a non-toxic primer. The maximum chamber pressure is well below the maximum NATO limit, ensuring that the ammunition is safe to use. The IP cartridge can be fired in all 5.56 mm weapons with a fast twist of one turn in 7 inches (18cm). The 5.56mm 55 grain Semi-Frangible cartridge is ideal for target shooting in both interior and exterior ranges. The projectile is manufactured by Barnes Bullets. The cartridges are assembled by General Dynamics Ordnance and Tactical Systems – Canada and tested in Colt Canada C8 weapons. 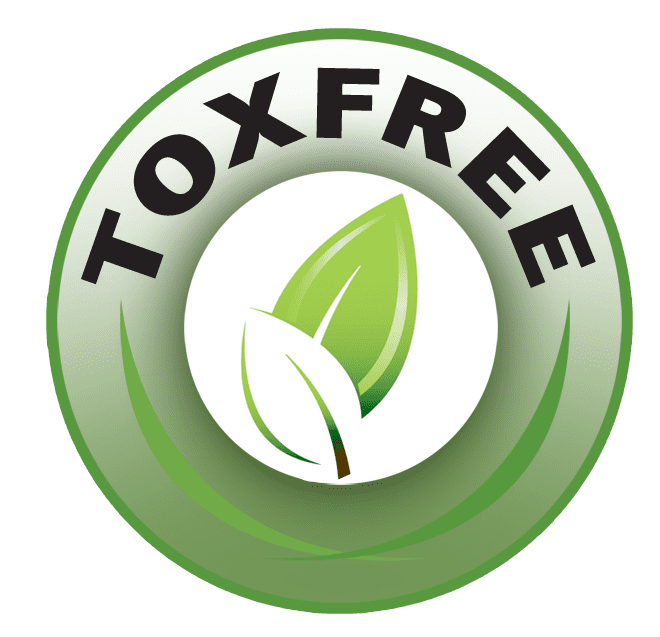 They are waterproof and may be supplied with either standard or toxfree® primers. The 5.56mm 77 grain Hollow Point Boat Tail (HPBT) cartridge is well suited as a high accuracy service ammunition for police applications. The projectile is manufactured by Nosler. The cartridges are assembled by General Dynamics Ordnance and Tactical Systems – Canada and tested in Colt Canada C8 weapons. They are waterproof and may be supplied with either standard or toxfree® primers. Short Range Training Ammunition (SRTA) rounds are designed for use on ranges where ricochet and stray bullets present a problem. The unique design of the Short Stop® bullet allows it to match the accuracy of conventional ammunition at 100 m, while reducing maximum range to 600 m. All Short Stop® cartridges feature projectiles produced from a frangible copper-filled polymer, which lowers the danger of ricochet and splash back while eliminating environmental contamination. Refer to the always-on-target.com website for more information. This training ammunition functions in duty pistols and rifles. Firearms must be equipped with an appropriate Simunition® conversion kit. It is ideal for target shooting, indoors or out, for basic firearms training or advanced tactical shooting exercises. CQT® (Close Quarters Target) ammunition is an integral part of our reduced-energy training system. This cartridge is not to be fired at personnel. Requiring no special ballistic infrastructure or sophisticated bullet trap devices, this cartridge can be used on reactive, paper or cardboard targets in urban or suburban environments, indoors or out, in improvised facilities or on conventional ranges, without risk of damage to the training facilities. The 5.56 CQT® features tactical accuracy up to 100 feet (30 m). It is considered highly effective small-cartridge training system by professionals worldwide. Refer to the always-on-target.com website for more information. Simunition® is the world leader in safe, realistic and interactive short range training ammunition. Simunition® family of non-lethal training cartridges have been in use worldwide by military, law enforcement and approved range members for over 20 years. The SecuriBlank® Quiet, our most recent training cartridge, sets a new standard as the world’s safest, soundless blank cartridge. The SecuriBlank® Quiet Blank round allows for training at extreme close ranges without the effects such as muzzle blast and excessive noise levels. This environmentally friendly cartridge, free of any heavy metals is safe for you and the environment. With no gas discharge, our SecuriBlank® Quiet can be shot at very close range without damaging human tissue or even paper. It is truly the safest and cleanest blank available today. The SecuriBlank® Quiet will revolutionize the way Concealed Carry Weapon Instructors conduct training in the classroom. Refer to the Simunition website for more information at simunition.com. SecuriBlank® Loud cartridges set a new standard as the world’s safest blank cartridges. 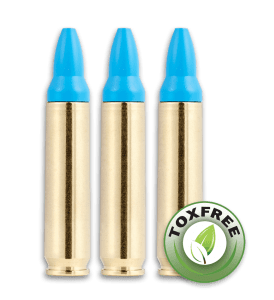 These reduced-energy cartridges are designed to use the Simunition® conversion kit. SecuriBlank® Loud feature reduced propellant charge. 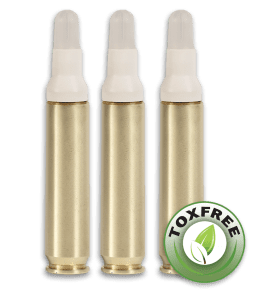 These cartridges produce realistic recoil, and are safer because they virtually eliminate unburnt propellant and ejected particles. SecuriBlank® Loud cartridges are affordable and convenient for training any time, any place, indoors or outdoors. Refer to the Simunition website for more information at simunition.com. The FX® marking cartridges, which come in six colors, are at the core of the FX® Training System known as “the world’s most realistic close-range combat training system”. The patented, reduced-energy, non-lethal cartridges leave a detergent-based, water-soluble color-marking compound. The visible impacts allow accurate assessment of simulated lethality. The 5.56 mm is tactically accurate with ball cartridges to 100 feet (30 meters). No special ballistic facilities are required. They meet the need for a force-on-force and man-to-man training system that is realistic, effective, inexpensive, adaptable and fully portable. Refer to the Simunition website for more information at simunition.com. We also manufacture a FX® non marking cartridge for use in areas or situations where marking is not desirable. 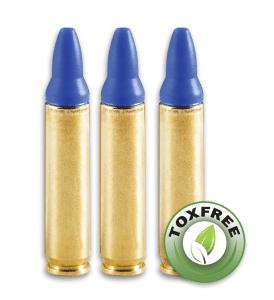 The 5.56mm FX® non marking has the same characteristics as the FX® marking cartridge except for ballistic match at 33 feet (10 m.) versus 460 feet (140 m.). Refer to the Simunition website for more information at simunition.com. General Dynamics Ordnance and Tactical Systems – Canada produces two NATO qualified rounds, the C77 ball and C78 tracer cartridges. The C77 ball projectile uses a two part lead and steel core penetrator nested inside a guilding jacket. The C78 trace projectile clad steel jacket is filled with a lead core and a tracer mix that produces a 600m long trace (minimum). GD-OTS – Canada offers two types of blank cartridges: a short and a long version. The short version is similar in length to the US M200 blank cartridge whereas the long blank is of similar length to a conventional ball cartridge. The tips of both cartridge types are closed with a four fold, twisted mouth crimp. The long blank can be used in any weapon but was designed for the FNC and FAMAS rifles. The short blank is regularly used in rifles and machine guns. Both blanks require an appropriate Blank Firing Attachment (BFA) on the firing weapon. of 10 round plastic clip units in carton pack, or M27 links packed in metal containers.